Hassan originally hails from Larache, a small harbor town in northern Morocco but moved to north London as a teenager. 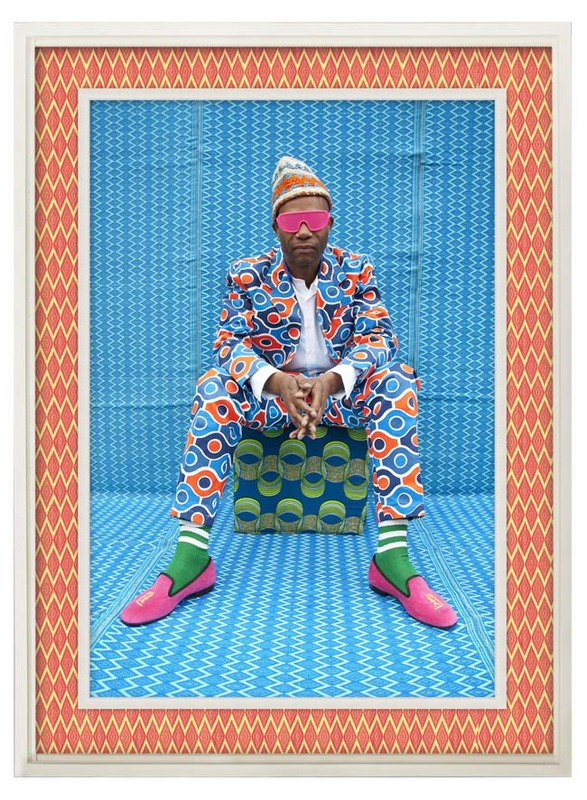 He currently divides his time between his shop on Calvert Avenue in Shoreditch and his atelier in Marrakesh. Initially known for his streetwear label R.A.P. and then as a photographer, Hassan has recently turned to video to depict a globalized society in which the margins of cultural identity—whether African, Arab, or European—are continuously shifting and blurred. My Rock Stars Experimental, Volume 1 includes nine separately filmed performances by an international array of musicians and Hassan’s “rock stars” and “sitters” wear clothes that the artist designed himself and pose in spaces covered by patterns he selected. Clad in traditional fabrics, as well as luxury-brand clothes and shoes, the musicians bridge the gap between now and then, us and them, and high and low culture, thus reflecting a fusion of Moroccan craftsmanship and contemporary art while creating a conscious friction with Western stereotypes. Mandisa Dumezweni (“Sit Down”) Mandisa Dumezweni is a South African singer based in London. She sings “Sit Down” from her Slow Burn EP. Jose James (“Code”) Jose James is a singer-songwriter who trained at the New School for Jazz and Contemporary Music in New York City and is signed to Blue Note. “Code” is from his album Blackmagic (2010). Boubacar Kafando (Gnawa song) Boubacar Kafando is a Gnawa musician from Burkina Faso. He plays the kora, a 21-string bridge-harp from West Africa and sings a traditional Gnawa song. Toca Feliciano (Capoeira song) Toca Feliciano is a capoeira master from Brazil, now based in London. He plays the berimbau, a Brazilian musical bow that is used to control the speed of capoeira games. Simo Lagnawi (Gnawa song) Simo Lagnawi, from Morocco, is the UK’s leading Gnawa musician. Poetic Pilgrimage (“No More War”) Poetic Pilgrimage, of Jamaican descent, is the Hip Hop duo Muneera Rashida and Sukina Abdul Noor. 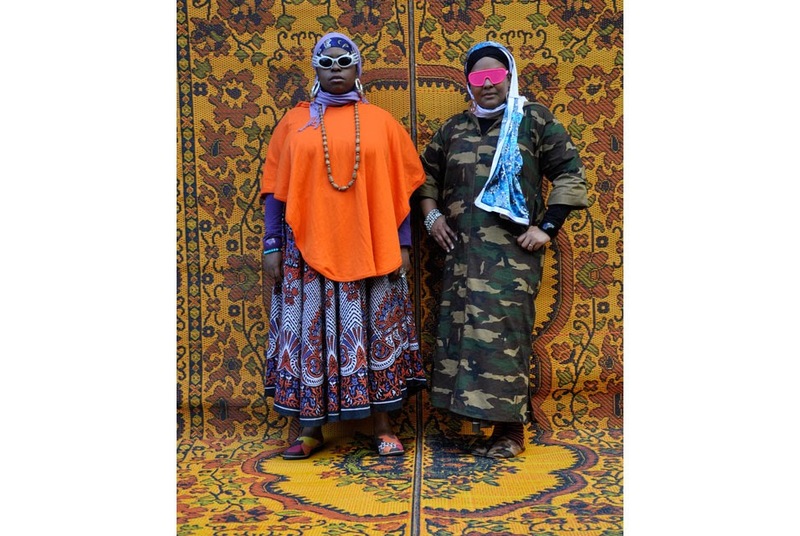 The pair is the subject of the forthcoming documentary Hip Hop Hijabis directed by Mette Reitzel. MARQUES TOLIVER “Charter Music” Marques Toliver is a violinist, vocalist, composer, and magazine editor from the U.S. They met when he was busking in London. “Charter Music” is from his EP Butterflies Are Not Free (2011). LUZMIRA ZERPA “El dia que yo me case” Luzmira Zerpa is a Venezuelan singer-songwriter and founder of the music and dance group Family Atlantica. If you’re in LA… check it out. Style & pattern! Exuberant and thought provoking! 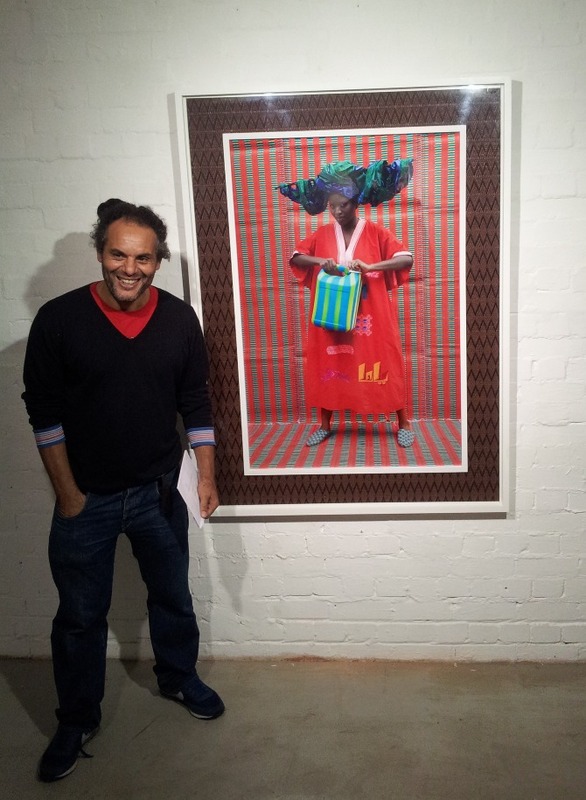 This entry was posted in Urban runnings... and tagged Art, capoeira, fashion, Hassan Hajjaj, Los Angeles County Museum of Art, Marrakesh, Morroco, My Rock Stars Experimental Volume 1, Photography, video installation. Bookmark the permalink.